Happy Thursday to all of you wonderful bloggers and friends. Yes, I'm very happy today. The sun is warming the ground and the temps are amazing. We are in the low 80's and perfect weather for gardening. I've been planting outside for the past few days. Our garden tour is only 23 days away. I visited my favorite thrift store last week and found another cupid. Or (baby angel) and two new tea cups. Our Camellia tree is blooming and I couldn't resist to set a table with my new little friends. While it was raining a few weeks ago, I was ironing some of my tea towels and some small table cloths and hung them on the clothes rack. I love my cloches and I've always wanted a bell shaped one. While in Michaels Craft store I bought this beauty. Exactly what I've been looking for to showoff my tea cups. I love my dining room. The windows look out into my garden, but I love my lace curtains for my romantic tablescape. The camellia is an old garden favorite called 'Pink Perfection' and is a wonderful addition to my garden. I'm so happy you came for a visit. I love company. Hope you enjoyed yourself and please come again. 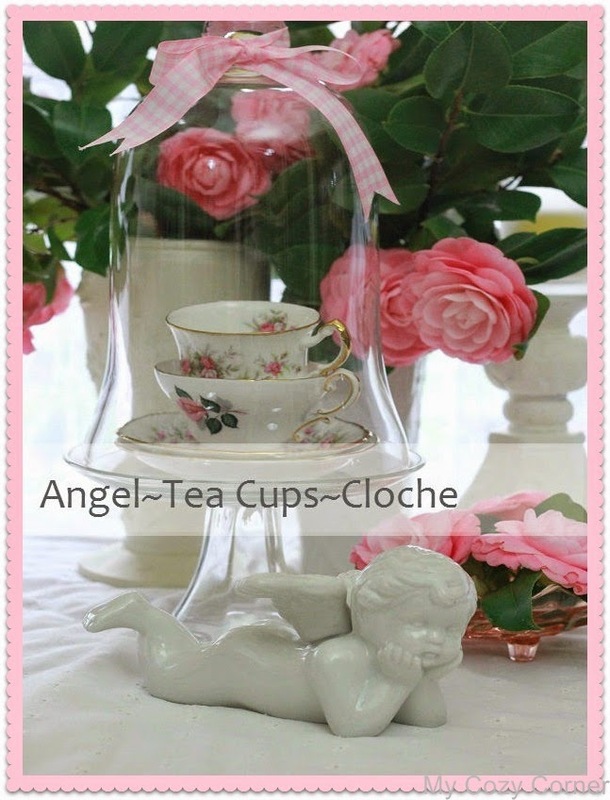 What a beautiful vignette with the angel and lovely teacups. You have pretty linen and washed too! 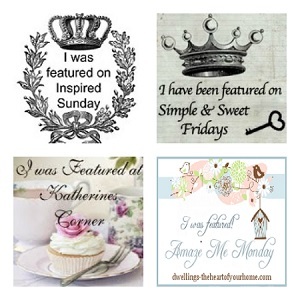 I also adore your header with that great teacup collection! Betty, how lovely this post is! The tea cups and all of the shades of pink are perfect. 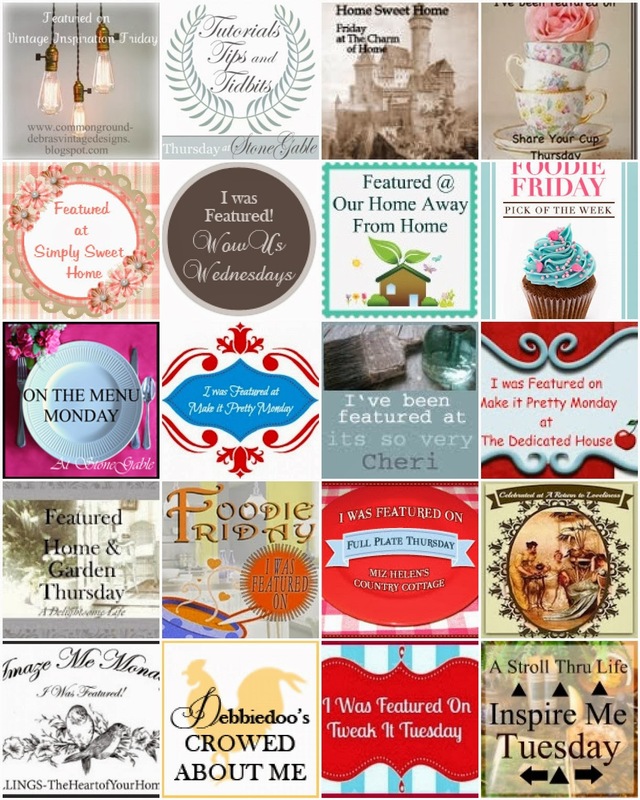 I think you should invite all of your blogging friends over for tea (hint, hint!). We would have fun!! So pretty...love the way your flowers complement the cups. I did a few cloches this week too, one with china cups. How pretty is your table with the pinks and fabulous flowers. Lovely linens and vignette. 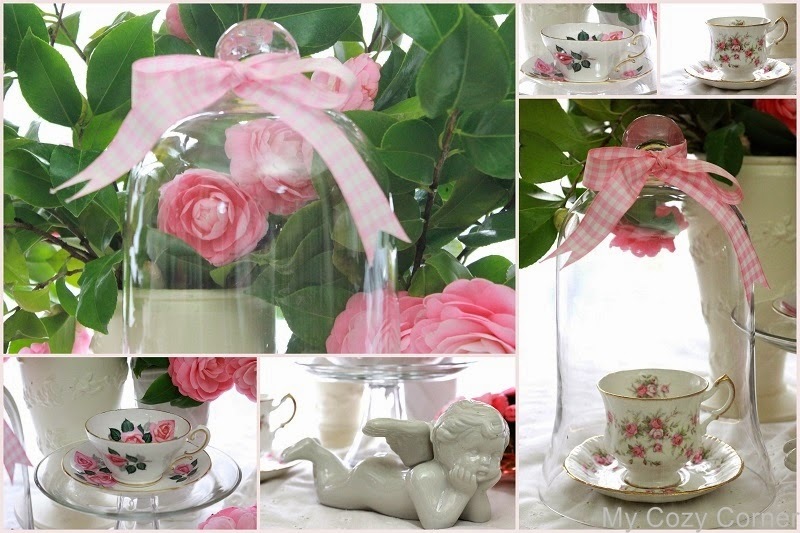 Fun idea to stack the pretty tea cups under the cloche. Very pretty vignette! Your tea cups are lovely! Enjoy your new week ahead! You can never have too many teacups! I love the idea of displaying them under a cloche. Your pink rose teacups are so very pretty. Love the way you displayed them under the cloche. Absolutely gorgeous - love how you put these lovely items together! Just heavenly!! Very pretty! I like the tea cup under the cloche- great idea :-) You have a garden tour coming up??? I love gardening! I hope it all goes perfectly! Well of course I LOVE the teacups! Perfect with the cloche and angel. 80s! We're lucky to get into the 60s today! Your dining room is so lovel for spring! 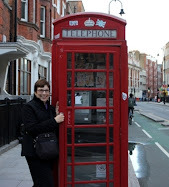 Thanks so much for linking to Tuesday Cuppa Tea and Happy Easter! Love the roses on your new teacups. They look marvelous with your camellia. Wonderful cherub. Everything looks so pretty. Happy Tea Day! Such a pretty post! Enjoyed every word, each picture is magazine worthy. What a beautiful way to showcase these beautiful saucers! The pretty cloche is just the right size! I also love your cherub. Have a wonderful week! What a fun way to display your beautiful tea cups.